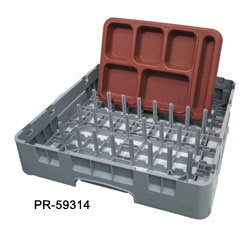 Plastocon offers more than just trays for correctional meal delivery. Our line of support equipment includes everything from drying racks to security cabinets. 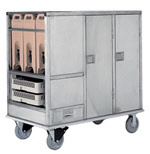 Order correctional and heavy-duty food delivery carts for your correctional meal delivery system. Contact Plastocon for more information on equipment options. Order open delivery carts in stainless steel or aluminum for your correctional facility. Learn more about meal delivery systems from Plastocon. 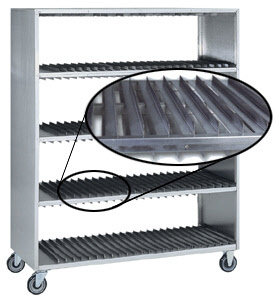 Tray drying and storage racks are made to keep correctional kitchens organized. Order your meal delivery support equipment from Plastocon now. Protect your inmates and staff with kitchen ware security cabinets from Plastocon. Order your knife security kit today. Wash racks keep the cleanup process at your prison sanitary. Contact Plastocon to purchase wash racks for your facility. 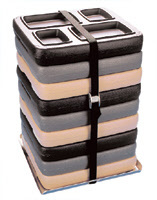 Transport Stack Carriers are designed to make moving food carriers easier. Order with nylon straps and buckles. 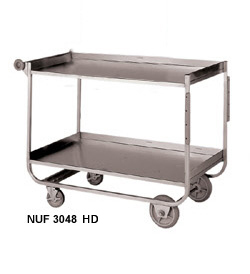 Buy high-impact dollies and platform trucks to transport food trays around your correctional facility. Order from Plastocon today. 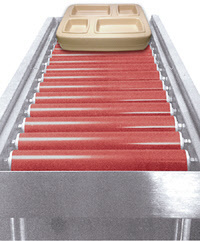 Use gravity conveyors for easy tray transportation at your jail or prison. Contact Plastocon to order stainless steel conveyors for your facility. 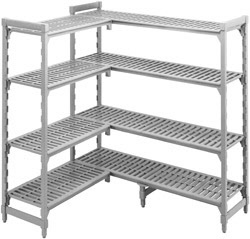 Heavy duty can racks from Plastocon make organizing your correctional kitchen surplus easy. Racks with casters are available. Order a mobile steam table for your prison or jail to maintain temperatures during meal assembly. All products come with a correctional security package. Save space with oven-proofer combinations from Plastocon. 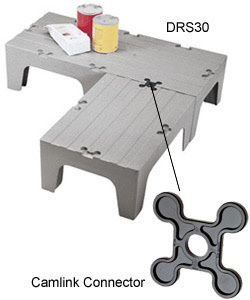 Store food, liquid, and inventory off the ground with dunnage racks. Plastocon provides heavy duty dunnage racks for correctional facilities across the country. Organize your correctional facility kitchen with Camtainers and Camcrisper storage units. Order from Plastocon online. Camshelving is available in 4 heights, 4 widths, and 8 different lengths to keep your kitchen organized. Contact Plastocon to order these shelves for your jail, prison, or correctional facility. 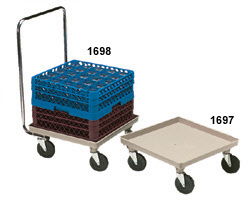 Use Camcarriers and Camcarts to easily transport food trays around your correctional facility. 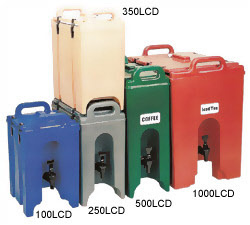 Order carts online from Plastocon today. 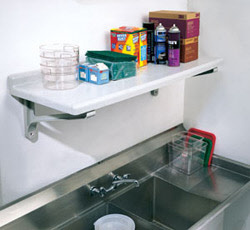 Take advantage of all the space your correctional facility kitchen has to offer with wall shelves and extenders. Order online from Plastocon now.